Being the worst team in the NFL is definitely not a good thing, but there are rewards for terrible football. Being the worst can lead to many changes such as coaching or quarterback. But most importantly, it will inevitably lead to the top pick of the NFL draft. Unless you’re the Jacksonville Jaguars, having the top pick is rare commodity for an NFL franchise. Drafting the best player in a particular draft can completely change the outlook and future of that franchise. Some top picks pan out, some do not. Nevertheless, getting the top pick right for a franchise can totally change a team’s attitude and success. So who’s gunning for the top pick so far this year? Every year, there’s a team that looks promising on paper, but can’t quite deliver on the field. For example go back to 2013, and there were many experts who predicted the Houston Texans to be playoff, if not possible Super Bowl contenders. Instead, the Texans crumbled that year and eventually owned the top pick of the 2014 draft. In many ways, the Detroit Lions remind me of that Houston Texans team. On paper, the Lions at least look like playoff contenders. On the field however, the Lions are sloppy, inconsistent, and overall a bad football team. Things were so bad against the Cardinals, that they eventually benched Matthew Stafford after he threw 3 interceptions. And who did they bench him for? Dan Orlovsky. Yes, the same Dan Orlovsky who became the poster child for Detroit’s and NFL’s first and only 0-16 team. Yes, the same Dan Orlovsky, who ran out of his own endzone against the Minnesota Vikings,which resulted in a safety. Now, let’s not overreact here. These aren’t the same Lions that finished 0-16. This team has way too much talent on their roster to win zero games. But as of right now, it’s hard to think of an NFL team that has either disappointed or has played as poorly as the Detroit Lions right now. 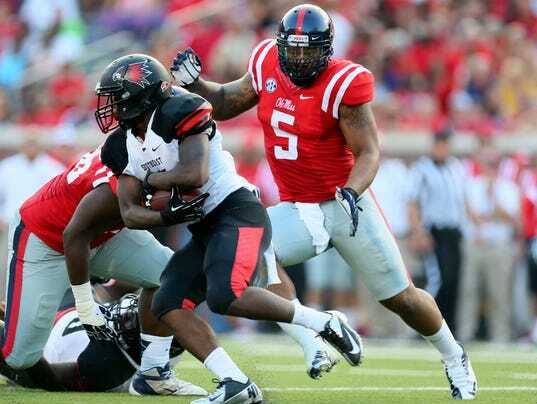 With the first overall pick the Detroit Lions select…..
Maybe the best defensive tackle prospect since Suh, Nkemdiche could fill the void of defensive tackle that has been missing this season ever since Suh left. Paired up with Ezekiel Ansah and Haloti Ngata could make the Lions defense a real force again. The Texans are sitting at 1-4, and despite the talent on both sides of the ball, the Texans have yet to deliver. The defense, which was supposed to be the true strength of this team, has given up 135 points so far. But the main problem with the Texans, which has been a problem ever since this organization came into existence, is poor quarterback play. With the First Overall Pick, the Houston Texans select…. Even though he has played in technically a spread offense in College, Goff has many traits that teams look for in a quarterback; good arm, mobile, smart, and accurate. There’s no way Bill O’Brien passes on what is definitely the most talented quarterback he’ll ever coach. Despite having a bye week, the Miami Dolphins actually made some strides week 5 when they fired not only their head coach but also their defensive coordinator. Will these changes impact the Dolphins outlook. Maybe, but as of right now, the Dolphins future is a bit murky. Neither the offense nor the defense has played particularly well this season. Tannehill has not lived up to his contract and now he faces a make or break situation in which he must prove himself to the new coaching staff. The defense, which many predicted to be one of the NFL’s best, are actually a huge liability at this point. While the Dolphins situation can realistically change with the influx of new coaches, the Dolphins as of right now are one of the most dysfunctional and worst teams in the NFL. With the first overall pick, the Miami Dolphins select….. This is a tough one. There are two directions that I could see Miami going if they owned the top pick. Of all the top prospects who are contending for the 1 pick, the one player the Dolphins need the most is Laremy Tunsil, offensive tackle, from Ole Miss. While he does have his share of character issues, Tunsil is strong, aggressive and would be a perfect player to protect Tannehill’s blind side. The Dolphins could also realistically work out a trade for a quarterback-needy team. Some of these teams could include the Texans, Bills, Eagles Chiefs, Bears, 49ers, or Rams. If the Dolphins moved down, then it would be realistic for them to select Vernon Hargreaves III, cornerback from Florida. 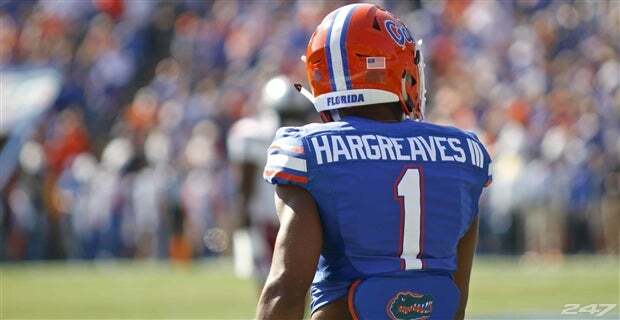 Hargreaves might be the best cornerback prospect since Patrick Peterson, and in my opinion, has the potential to be a shutdown corner in the NFL. Hargreaves has great instincts, and can mirror any move that a wideout may attempt to pull out. Pairing him alongside Brent Grimes would make the Dolphins secondary a potential threat against opposing offenses. 2 years ago, the Saints were one of the best teams in the NFL. Drew Brees and Jimmy Graham tore apart defenses and it had seemed that Rob Ryan had solved the Saints defensive problems. A lot has changed since then, and now the Saints are a serious contender for the first pick of the 2016 draft. What went wrong? Well, the Saints offense simply isn’t explosive nor dynamic anymore, especially with the loss of Jimmy Graham, and Drew Brees’ gradually declining arm-strength. The Saints defense, which showed promise when defensive coordinator Rob Ryan came on board, has been a major disappointment. The Saints are playing so poorly that they’ll even lose in the Superdome, a place 2-3 years ago was impossible for opponents to play in. 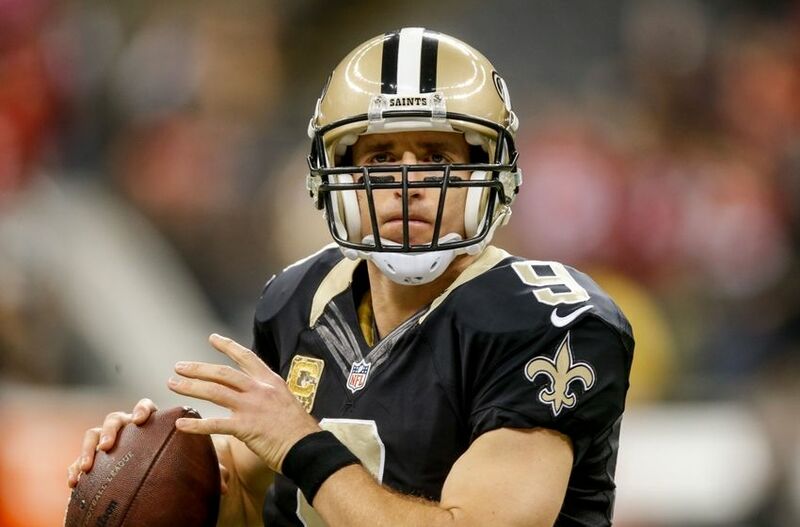 The Saints need to restructure their entire team from the bottom to remain relevant again. This means making a lot of tough decisions which include firing Sean Payton or Rob Ryan, or even moving on from Drew Brees. There’s no telling what the future holds for the Saints, but don’t be surprised if you see an entirely brand new team in 2016. 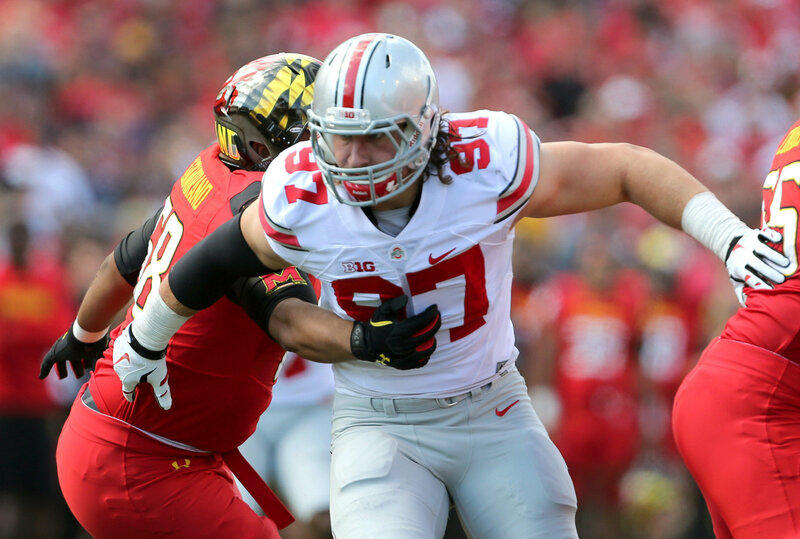 Joey Bosa, Defensive End, Ohio State. A player that has garnered comparisons to J.J. Watt, Bosa is fast, aggressive, strong, dominant when coming off the edge, and an outstanding run defender. Adding a player like Bosa would add another dimension to the Saints defense that desperately needs a playmaker. Jacksonville Jaguars 1-4: Still a few years before becoming relevant again, but have potential and young talent which will result in more wins this season. Chicago Bears 2-3: Jay Cutler has played better, but Chicago is wasting their time with him. What they need is a quarterback who’ll help them reach a Super Bowl, not a guy who can barely make the playoffs. This is a team that could realistically trade up for the top pick to draft their franchise quarterback. Tennessee Titans 1-3: The Titans need more than Mariota to win. The Titans are bad, but with Mariota, it’s hard to picture them owning the top pick of the draft. San Francisco 49ers: The 49ers have talent, but will be held back by the poor and inconsistent play of Colin Kaepernick. Still, the 49ers, like the Jaguars, will win more games based on their young talent. Be the first to comment on "Race for the #1 Overall Pick: Top Contenders Week 5 Edition"